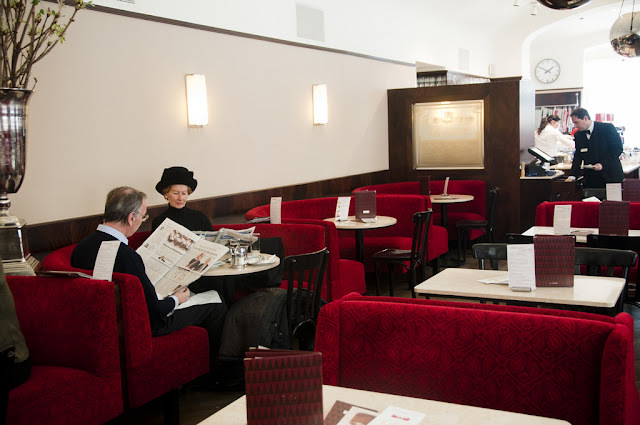 A few days ago we met up with some friends who flew all the way from Cologne to Vienna to see us and we had coffee/lunch at the Cafe Museum, with its interior designed by Adolph Loos in 1899. 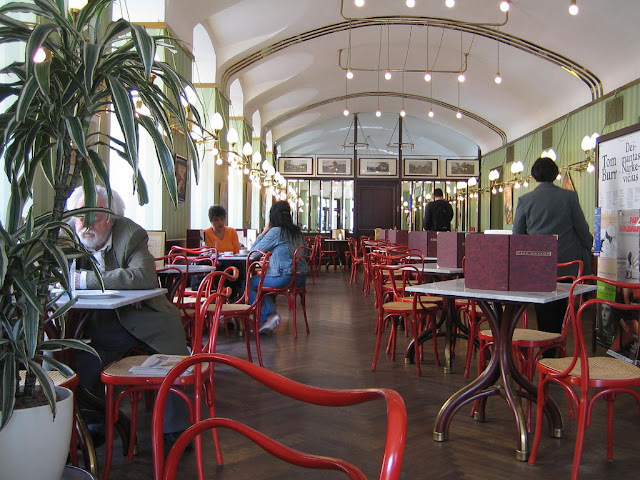 Loos was famous as an early proponent of minimalism and the cafe was, like his other buildings in Vienna, almost scandalous for its lack of ornament. 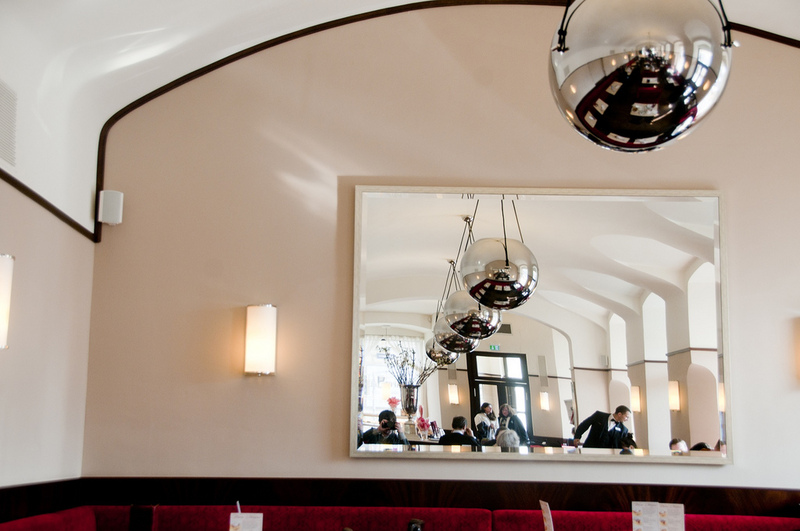 Heinrich Kulka, one of Loos' students, described it as "the starting point for all modern interior design." The interior is still fairly unadorned, but the original Loos-designed Thonet chairs are no longer there. 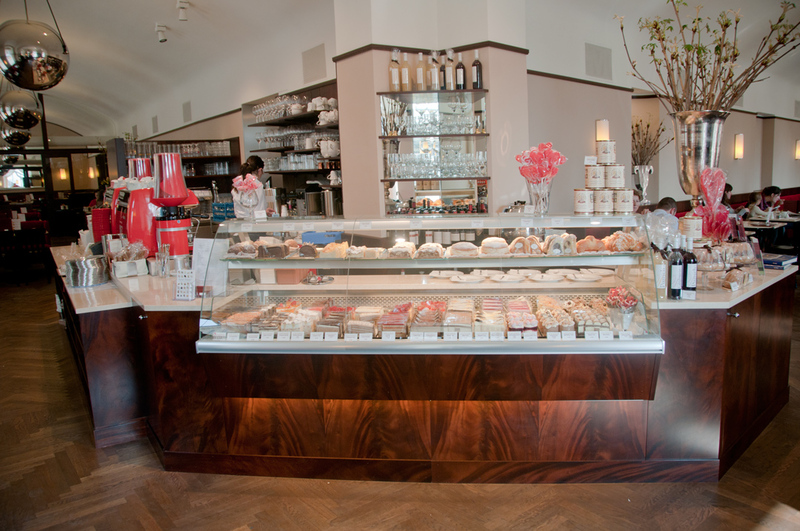 There are padded booths and huge mirrors instead of those delicate light fixtures. Still, I have to say it was a great place to have a coffee with two families. Perhaps Austrians are protesting the recent renovations because the place was practically empty (and they had coloring books for the kids).